There are very few venues that can say they provide a stage for as wide-ranging of artistic expression as The Factory Theater does. You can use the word eclectic to describe their performance schedule, but that would be an understatement. From intimate cabaret performances, to dance, film, stand-up comedy, international and local rock and roll, blues, and jazz acts, The Factory Theatre has and continues to do them all. Unlike many other live performance venues, The Factory Theatre was purpose-built to provide the best in live entertainment. Its parent company Century Venues gave birth to the facility after three years of producing shows that included, Hedwig & The Angry Inch and hosting live performances from Jose Gonzalez, Augie March, and Wolfmother among others. The Factory Theatre's space can be laid out in three different configurations. Cabaret and theatre mode can accommodate 250 guests while concert mode can provide space for 450 patrons. The venue can be hired out privately with catering available but doesn’t have any regular dining options. Dining facilities near The Factory are limited as well, but Enmore Road which is 10 minutes away by foot has many restaurants to choose from. On the drinks front, however, The Factory has a fully licensed bar which also has small snacks and lollies for sale. 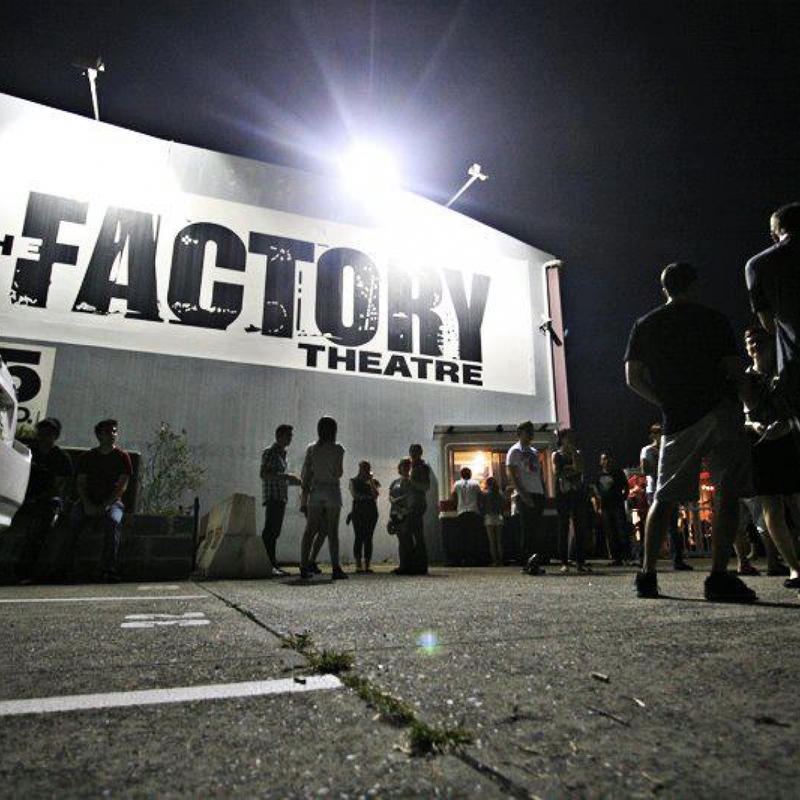 Check out the upcoming shows at The Factory by going to http://www.factorytheatre.com.au/events/factory. There will no doubt be something there that will attract your attention. If travelling to The Factory Theater by bus, take the 423 or 426 from the Newtown train station. Five minutes later you will find yourself at the door of The Factory. Otherwise, it’s a 20-minute walk from the train station. If getting off at the Sydenham or Marrickville stations, your walk will only take 15 minutes.